 The first question we get is – what does Yellow Heart Company mean? We are intentional and mindful in everything we do and choosing our name was no exception. When we thought about our core values – connection, heart, impact – the common thread we could see through it all was heart. We truly have a heart for businesses and non-profits and for communities at large. We really do want to make an impact – and we will. 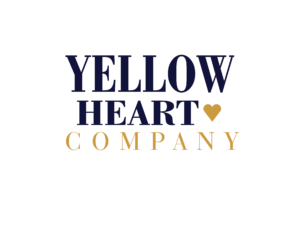 We wanted our name to reflect not just the lifestyle blog and mindful marketing we offer now, but the philanthropic plans we imagine and hope for in Yellow Heart Company’s future. Yellow was a perfect fit for our heart . A yellow or gold colored heart, by emoji definition, represents a person that is your #1 best friend. Yellow itself represents things like sunshine, happiness, joy, gratitude and friendship. So, as a company, it just couldn’t be better suited. As we connect and build relationships with our clients, we want to help them and their brands build relationships and deep connections with their targets, and then expand that even further to connect with their communities. There are no limits to how far we can reach, together, one heart at a time. So, after thinking things through, we really couldn’t imagine choosing anything other than the yellow heart and we hope that, especially now, maybe it means something to you too. Tell us! What does Yellow Heart mean to you – does it make you feel something? 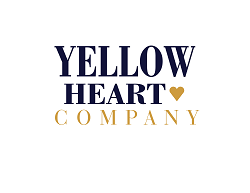 Tag us in your response and add the hashtag #yellowheartco for a chance to win a prize, right from our hearts.